Mieko Shiomi grew up in a musical family and received a classical musical education at an early age. She began to study musical theory and music at the State University of Arts in Tokyo in 1957. In 1960, together with Takehisa Kosugi and others, she founded the group Ongaku (Music) and began to extend the radius of her own music to include improvisation and action. 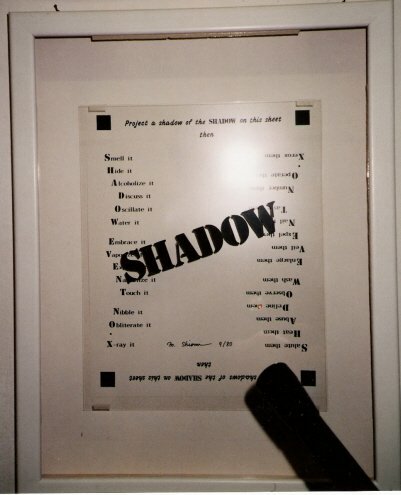 The group received stimulus from performances by artists such as John Cage, La Monte Young and George Brecht, who visited Tokyo in the early 60s. As from 1963, Shiomi had contact to Yoko Ono; through her, she go to know George Brecht events adopting the term event to describe her own works. 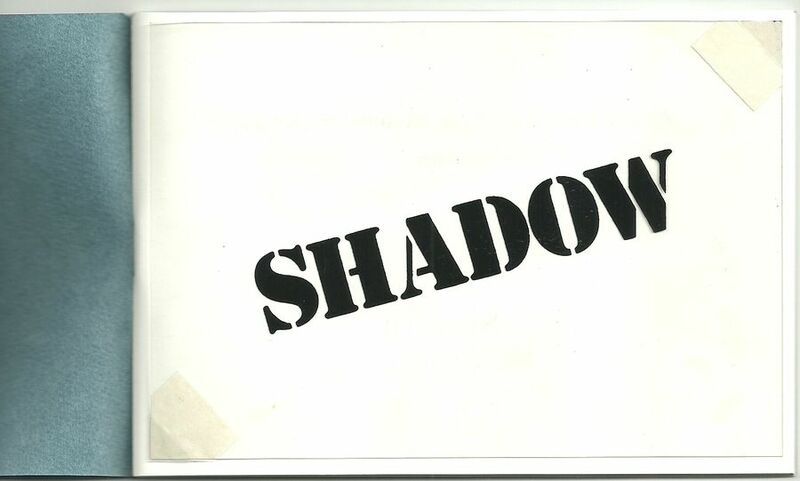 On the invitation of George Maciunas in 1964, Shiomi went to New York, were she took part in the Fluxus events taking place there. Shiomis event are characterized by great purism. Her action consists of subtle, minimal alterations-fluctuation between Nothing and Something. One example of this is her Disappearing "Music for Face", in which a smile very slowly fades into a neutral facial expression. 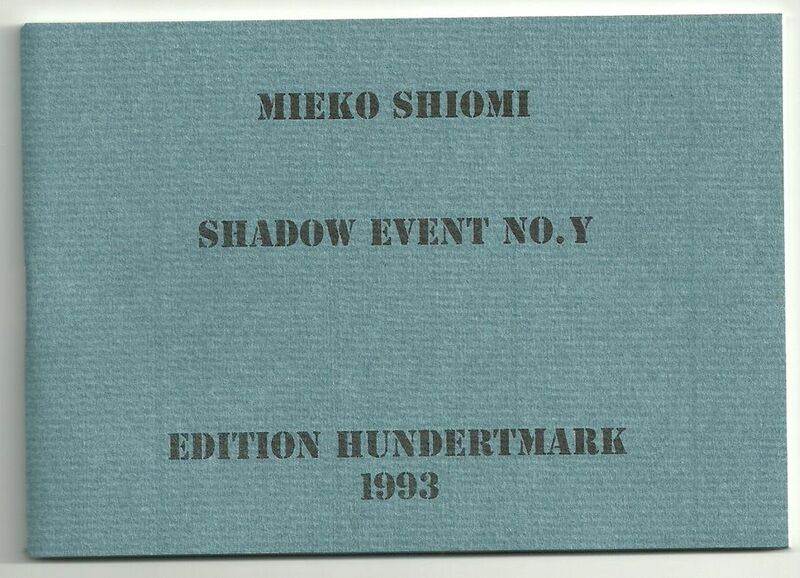 Shortly before her return to Japan in 1965, Mieko Shiomi initiated her "Spatial Poems", a series of nine events, for which she regarded the whole art as her stage. She invited artists world-wide to contribute, usually calling for minimal actions or small interventions in the environment (e.g. 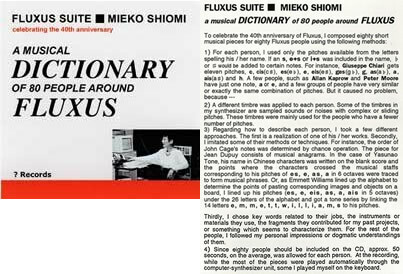 to write a word on a card and deposit this in a place selected by the individual artist) Fluxus objects and a publication. Numerous artists and authors from Central and Eastern Europe participated in this action, and were thus able to become protagonists in cross-border Fluxus events. As from 1977, Mieko Shiomi devoted herself to her own compositions once again, but retained her strong links with the Fluxus network and its ideas. 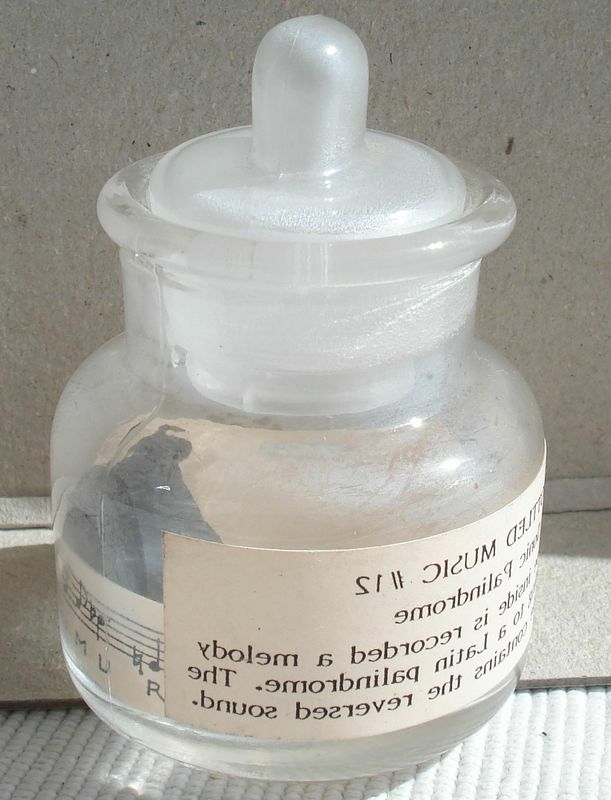 Mieko Shiomi, "BOTTLED MUSIC, 10"
a glas bottel, signed and nubered, II/XII, height 7,5 cm. 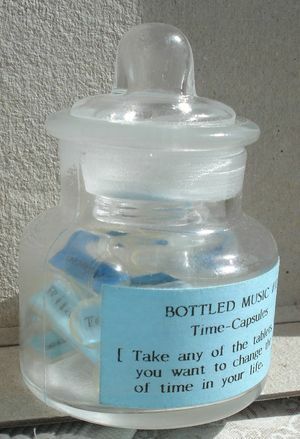 Mieko Shiomi, "BOTTLED MUSIC; 9"
(Take all the tablets at once), 1993, signed and numbered, II/XII, height 10 cm. Water Vienna Waltzees conduceted by a white pick. signed and numberd, V/VI, hight 8 cm. signed and numbered, II/XII, hight 8 cm.